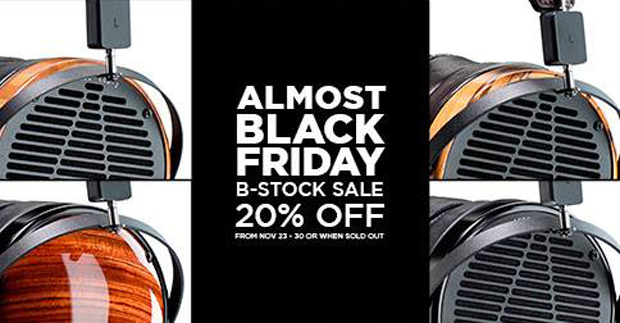 Looking for sale or to save a few bucks on audiophile headphones? Whether you’re just getting into personal hifi listening or you’ve been the hobby for a while, you’ve likely noticed that it can get expensive, quick. Over the past several years, we’ve seen a huge uptick in manufacturers retail prices, with many headphones stretching into the several thousand-dollar price range. From the $55,000 Sennheiser Orpheus to the $18,000 HiFiMan Shangri-La, prices can be staggering. Even at real-world prices From the cans to amplifiers to cables to pads, everything will put a dent in the ‘ol wallet. As such, I wanted to put together some tips and tricks I've learned over the years to ensure you are getting the best sound for the money and don’t end up taking a bath because you end up with a new set of cans you don’t like. One great way to save money is not buying headphones that don’t fit your tastes. The best way to audition headphones before you buy them is at a meet, whether it be HeadFi gathering, or a local audio show. 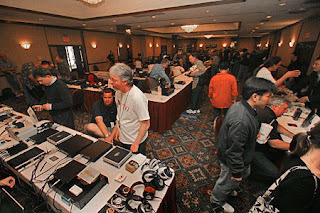 Many audio shows now have rooms for high end headphone listening (this wasn’t commonplace 10+ years ago), so you can quickly sample a number of different headphones quickly without someone trying desperately to sell you something for a commission. Auditioning headphones saves a lot of time, cost and effort versus buying blindly or based on online reviews. Everyone has different ears and different preferences, and you should trust your own ears when it comes to the sound you prefer. Reviews have their place, but one person’s “high-end sparkle” is another person’s “bright and sibilant”. Find local HeadFi meets here. While there are a lot of over-hyped sales on BF/CM, it’s often the best time to purchase high-end headphones. Manufacturers like Audeze and HiFiMan have incredible deals directly on their site where you can save up to 50% in some cases. Just remember to watch the sites carefully and refresh often, as they sell out quick. 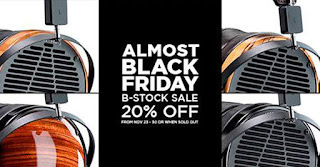 Also be sure to keep an eye on BuyDig, Adorama, Monoprice and Amazon, as they often have great deals on brands like Fostex, HiFiMan, Audeze, iFi Audio, Beyerdynamic, Sennheiser and others. Slickdeals is a great place to find deals on videogames, electronics, clothing, food, you name it. The curators there do a great job of finding headphone deals, generally from BuyDig, Adorama, Newegg, Monoprice, and the manufacturer’s websites. Simply run a search for “headphones” at the top of the page and sort by your budget on the left to see the deals listed in chronological order. Having a subscription to the HeadFi Deals Page is a great way to get email notifications when there is a deal. I try to participate there regularly and there are many others monitoring email blasts from various manufacturers. Generally there are several updates daily. Buying headphones new for full price is a great way to lose money. 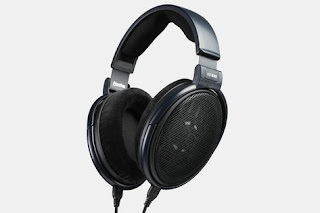 Depending on the headphone brand, model, condition, availability and other factors, a used headphone will generally sell for 50-80% of its value. If it’s barely used with accessories and proof of purchase, this is on the higher end, and if it’s a couple of years old in very good to excellent condition and the manufacturer is more prone to running promotions on the product, 50% is pretty common. Some headphones, like MrSpeakers, hold their value better as the manufacturer doesn’t run heavy product sales/promotions, whereas headphones like Audeze or HiFiMan, which are often discounted, don’t hold their value as well. Thus, if you anticipate selling your headphones after a couple of years of ownership to upgrade / side-step, etc., I encourage you to purchase used on the forums. That way the difference between your buying and selling price will be far less than if you purchased new. Active headphone communities include HeadFi, Head-Case, Super Best Audio Friends, and others. A good way to search others is HiFi Shark. Each forum has it's own rules (and culture), so it's important to review these before posting anything for sale. Please note that you must use your best judgment when purchasing on the forums, ensure the seller has a clean history and good feedback, don't ever use "Paypal Gift", and you can request the seller take a new photo of the item being sold with their screen name in it to ensure they actually have it in their possession. Using a credit card via Paypal or other method offers you protection from the credit card company if you do not receive the item or it is not as described. My personal experiences with Paypal buyer protection have been poor, so using a credit card provides an adequate layer of security. If you plan on purchasing a new headphone and holding on to it, MassDrop has some great deals on headphones that are only available through the platform. Interesting offerings like the Focal Elex (a cross between the Elear and Clear), the Sennheiser HD6XX (a rebadged HD650) and HD58X Jubilee, the AKG K7XX, the HiFiMan HE-4XX, the Fostex TH-X00, the Koss Porta Pro X, Fostex T-X0, and many others have been released that are a tremendous value. Every headphone that I have tried provides incredible bang for the buck in terms of sound quality for the dollar compared to normal headphones being offered at street prices or MSRP. I actually picked up the HD6XX recently and did a few tweaks. If you want an even higher value and don’t mind buying used or B-stock, getting Massdrop headphones used via forum or via eBay resellers (use a 15% Ebay coupon if available) probably represents one of the best headphone values on the market today. I’m not sure how long eBay will be offering these 15% off coupons, but they’re a real boon for anyone planning a larger purchase for a pair of headphones, amps, etc. With a max discount typically at $100, it’s a great way to trim down the price of new, used or b-stock gear. If you know a 15% off coupon is coming, sometimes it pays off to make the seller an offer lower than their Buy It Now price, then once the offer or counter-offer is accepted, stack the coupon on top. Just make sure to get the timing right. Before you purchase any used gear, be sure to check the Forums and/or HiFi Shark. Sometimes gear costs less on the forums even after the eBay 15% off, as sellers have to build the fees into their asking price. Many retailers have strict reseller agreements that don’t allow them to publish prices for gear under the MSRP unless there is a company approved promotion. While this is generally always true on retailer websites, often times you’ll see lower prices via email blasts as it’s a limited distribution and the retailer has less of a chance to have their hand slapped. So go ahead and get on that spam list if you want to ensure you’re getting the best prices. Most of the gear in the audio industry that is being resold by secondary retailers has a heavy markup. If a headphone costs $999 on a retailer’s website, the cost to the retailer was probably $500-600. Granted the retailers have many expenses including personnel and numerous business costs, but there is often times a little bit of wiggle room if you give a call. Requesting 10% off generally works and the salesperson will be happy to get the commission. This doesn’t work as well for direct sellers as the price-to-cost ratio is a little different (there’s likely less markup). While they may not be the flavor of the month on the headphone forums or the featured article in The Absolute Sound, there are some older headphones that represent great values. Currently, because of all the competition in the space, these headphones are even cheaper than they were years ago. Check out old favorites like the Beyerdynamic DT770, DT880, DT990, as well as the AKG 240S. Often sites like Buydig have these for sale dirt cheap and they're built to last many years. That about wraps it up. These are little tips I've learned over the past 15 or so years I've been in the hobby, so I hope it helps a couple of you. I’m sure I've missed a few things, so please feel free to add them in the comments.